Who would have thought that by making a place cleaner and more visually pleasant would help in saving the environment and help others? This has been the thought every time a group does an employee engagement in La Mesa Eco Park, just like what the NetSuite employees did. A total of 32 employees from NetSuite Finance Department, a company that deals with Cloud Business Software, potted germinants or baby trees and had a weeding and repainting activity in the park. The germinants will be planted along the watershed to help in preserving the reservoir and maintain a cleaner and better air. Two pavilions in the park namely Ipil Pavilion and Narra Pavilion were repainted. Repainting the facilities is part of restoring the structures of the park in order to encourage more guests to visit. In that way, funds are being raised which will aid in sustaining the watershed and give a hand to the communities that Bantay Kalikasan has been helping. 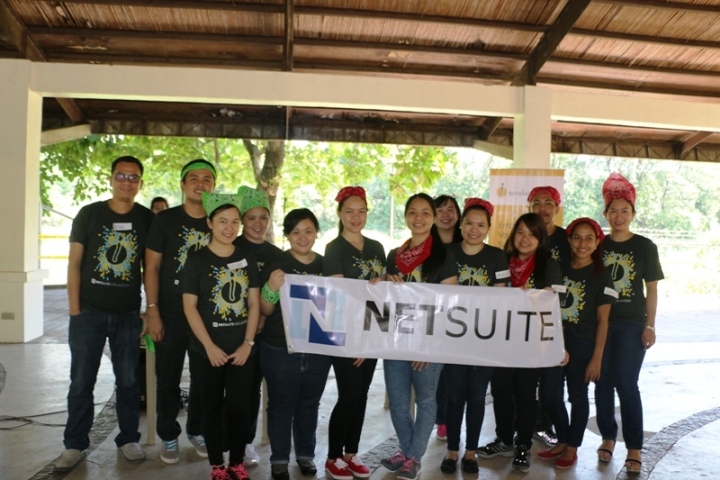 The activity done by NetSuite in La Mesa Eco Park is a partnership with ABS-CBN Lingkod Kapamilya Foundation-Bantay Kalikasan.